3D is an interesting proposition. Many love it, while equally as many loath it. After the recent success of the 3rd dimension in the world of movies, it was inevitable 3D would make it to the home gaming market. Sony was the first to toy with the idea of 3D and now if reports are correct, Microsoft is also getting ready to bring a 3D element to its Xbox 360 console. In a tweet back in May, Microsoft’s R&D Team linked to a Hebrew language site called Gadgety.co.il in a tweet, which suggested Microsoft would launch 3D at E3 2011. While that obviously didn’t materialize, it’s not beyond the realm of possibility that the boys from Redmond could still be working to bring 3D to its ageing console. The tweet asked followers what they thought to a 3D console, and linked to the article. As BGR comments, technology companies don’t tend to link to rumors, so is it possible someone at Microsoft’s R&D got a little excited and tweeted something the company wasn’t quite ready to share? 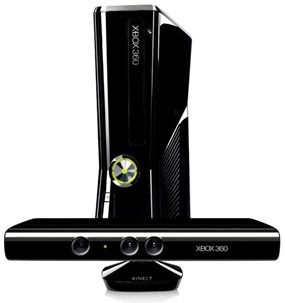 The initial report suggested Microsoft’s 3D feature would be introduced at E3 2011, but that obviously didn’t happen, possibly because the software was not yet ready to be shown off. Thus far the most successful implementation of 3D in the gaming space is Nintendo’s 3DS handheld, though sales of the 3rd generation DS have not been as strong as the Japanese outfit would have hoped. It’s currently debatable as to whether gamers are willing to pay for new televisions in order to support 3D gaming, especially while technology still requires the use of glasses in order to give the 3D affect.